Creative Digital Techniques in Colonial Williamsburg, April 25-28 will be great! I hope you can join us in this beautiful and historic area for lots of photography and learning. Both Jason Odell and I will be your instructors in this creative venture, and we are keeping the group small for more individualized attention. The gardens will be in bloom, you'll photograph people dressed in period clothing, unique architecture and have lots of opportunities for HDR, long exposure, and creative compositions. When we're not shooting, we'll cover ideas on how to best work with your imagery from image optimization, black & white conversion, to artistic post processing. 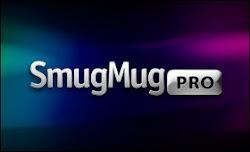 We have a nice group started, I hope you can join us! 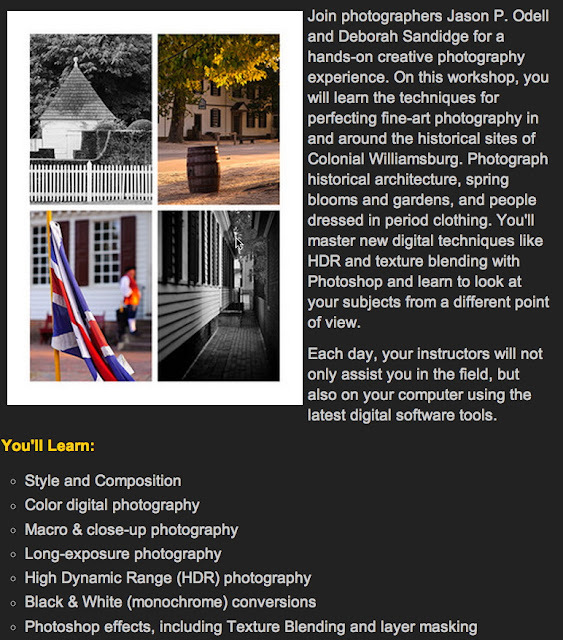 Click here to register for Creative Digital Techniques in Colonial Williamsburg.